As of late, those of us based in the US, who attend to internet-based discussion threads as well as chat forums concerning ‘radical’ social, political, and economic philosophies may be taken aback by the relatively recent degree of attention that “Free Market Anti-Capitalism” is being afforded. 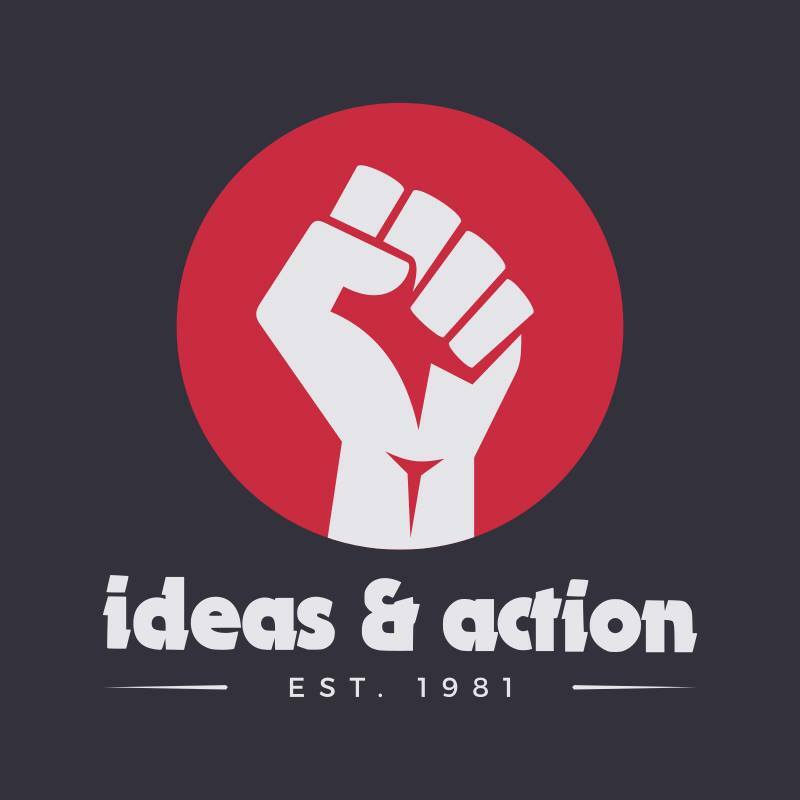 These ideas are generally concentrated in two US based organizations: The Center for a Stateless Society (C4SS) and The Alliance of the Libertarian Left (ALL). Upon surveying the range of intellectual influence that seems to be underpinning the river of thought engulfing ALL and C4SS, it becomes readily apparent that their ideological malfeasance stems from US-centric forces. That is to say, the “Free Market Anti-Capitalists” seem to, in part, parot particular commentaries professed by Benjamin Tucker, Henry George, Murray Rothbard and Ludwig von Mises, ‘thinkers’ who generally argue for a synthesis of Austrian economics and 19th century American individualist anarchism. Moreover, they have so creatively termed “free market anti-capitalism,” the general idea being that state-capitalism, or even capitalism generally, should be replaced with “free” or “freed” markets. These organizations by and large do not draw from left libertarian influences outside of the US (Europe, South America, etc. ), which reject these ideas in favor of what’s commonly referred to as libertarian socialism or libertarian communism; roughly, international federations of popular councils and assemblies coordinating the economy via negotiated cooperation. Those in this milieu tend to draw from concrete proposals from people like GDH Cole, Cornelius Castoriadis, Peter Kropotkin, Robin Hahnel and others. In fact, C4SS and ALL’s “free market anti-capitalist” ideas are quite marginal, with respect to the common internationalist understanding and conception of the libertarian tradition. Naturally, the question of whether or not “free market anti-capitalism” should be disregarded, in general, for it is hardly worth discussion. Yet, as already invoked, a striking rise in interest and discussion by those of the ‘Left’ begs us to comment herein. To ‘left libertarians,’ it should be quite clear that Byas is actually arguing in favor of class collaboration; working class people collaborating with the bosses. Class struggle libertarians know that private property is a major basis for capitalism (which historically presupposes colonialism, imperialism, and the use of the state to defend said private property). 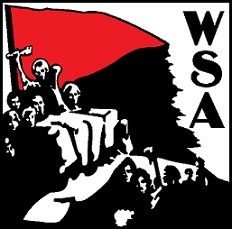 And they also know that there is no liberty for the working class whatsoever in class collaboration, since liberty for the working class means can only come about via the triumphal conquest of the class war and therefore taking direct control of the existing economy as a means of placing it in the hands of the working class while moving towards stateless socialism. Therefore, it stands to reason that the ideology evoked by Byas and others is by no genuine means anti-capitalist. Ironically, the ‘free market’ positions of ALL and C4SS is virtually pro-capitalist, due to the fact that it supports the societal roots capitalism depends on, including, most strikingly, private property. It is more correct to call this position something like “market liberalism”, but it’s strikingly similar to anarcho-capitalism, which is an extreme ultra-right view that free markets should coordinate the economy without any outside interference. Adam Smith, the Scottish economist who in 1776 provided the business class with the necessary blueprint to uphold the so-called spirit of the industrial age, “gain wealth, forgetting all but self…” nevertheless concluded that private conglomerates of wealth and power would diminish the role classical nation-states played in domestic as well as international relations. More specifically, he suggested that that the crafters of legal statutes and political policy in his day ensured that their selfish interests were “most peculiarly attended to [no matter how] grievous” the consequence experienced by others (2). To think that markets could remedy the tendency of those in positions of power advance their interests through exploiting the laborers and working class is utopian at best. Benjamin Tucker, one of the principal figures of the individualist anarchist tradition also contradicted Byas when he penned that “Liberty will abolish interest; it will abolish profit; it will abolish monopolistic rent; it will abolish taxation; it will abolish the exploitation of labour; it will abolish all means whereby any laborer can be deprived of any of his product”. Of course, this is directly in conflict with Byas’ description provided herein, where he seemingly attempts to retrofit the original anti-capitalist individualist-based anarchist tradition to mean a form of market liberalism where private property and the “profit motive” are defended as “crucial to a free society.” We class struggle libertarians do not generally identify with the individualist anarchist tradition, but at the same time we’re not about to mischaracterize the strong anti-capitalist elements of it. Byas later goes on to back up his class collaborationist “anti-capitalist” position by straw-manning anarcho-communism. He describes it by saying “decisions about resource allocation are made through gift or democratic planning. Explicit trades, especially when mediated by some other good functioning as money, are either absent or extremely rare. (The world I’m considering is one that we might describe as anarcho-communist).” But an anarcho-communist position presupposes identifying with some concrete political economic proposal(s), such as Kropotkin’s “Conquest of Bread.” Byas makes no reference to any such proposal, thus ultimately continues to argue against an “anarcho-communist” position he made-up. This seemingly confused position doesn’t end with Byas. Kevin Carson, who holds the “Karl Hess Chair in Social Theory” at C4SS is another influential contributor to this position. Carson believes that the end of capitalism is an approaching inevitability due to employers supposedly struggling to maintain hold over intellectual property claims as a result of increased file sharing over the internet and open source software. Yet, file sharing programs and websites are constantly being shut down, and more to-the-point, there’s no evidence of industries, like pharmaceuticals, being challenged in any serious way. That’s a mightily bold prediction regarding the end of capitalism and is far removed from reality. As class struggle libertarians we know that the only positive alternative to capitalism, that we can currently conceive of, must center upon the working class taking direct control of existing factories and workplaces such that they are able to then re-arrange the economy to make it directly accountable to the workers and therefore community members needs through worker self-management. Capitalism isn’t just going to go away on its own, which is why we need to build mass popular working class movements to overthrow it and replace it with socialism. To conclude, the extreme decentralization Carson proposes isn’t desirable. Different parts of the world have different resources and to some extent, particular forms of production will very likely have to be coordinated internationally. That doesn’t mean production has to be “centralized;” instead, it means that a political economy needs to be scalable to meet the needs of the people invested in it. This is why libertarian socialists propose international federations of popular councils and assemblies coordinating the economy. Limiting production to “neighborhood garage factories” means severely limiting what people can produce.